Szechuan Court at Fairmont Singapore is serving up super-sized rice dumpling, celebrating Dragon Boat festival. Served in a most innovative bamboo-leaf creation, by Master Chef Sebastian Goh, they are available in 4 mouth watering flavours. Lovers of Cantonese cuisine will love the Hong Kong-style dumpling with tender roasted pork belly, stewed abalone, roasted duck, chestnuts and dried shrimps. The extravagant stuffing is concealed within a generous layer of savoury glutinous rice perfumed by bamboo leaves. 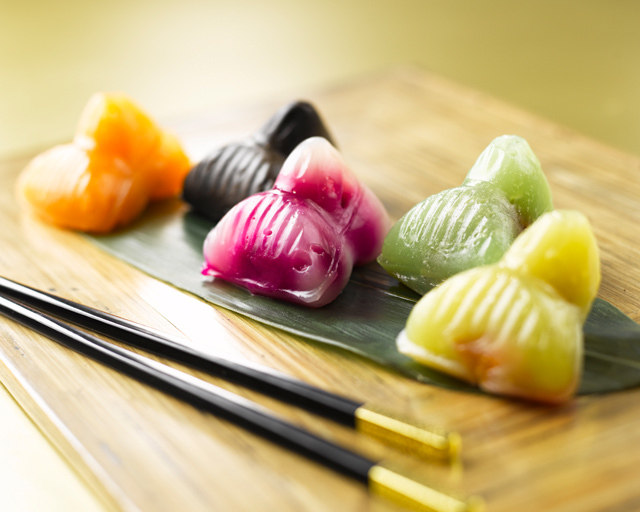 Traditionally rice dumplings are steamed and prepared with glutinous rice. But Peach Blossoms restaurant have given this dumpling a new twist by serving them chilled. Prepared by Peach Blossoms' dim sum chef Kerene Cheng, she took 4 months to experiment with different textures and ingredients to create the perfect ‘crystal' quality which allow diners to see the filling within the dumpling. The result is five mini treasures crystal dumplings, with fillings that represent the cuisines of Singapore, Thailand, Malaysia and Japan. A speciality from south central China, the Hunan braised pork dumpling is filled with delicious pork belly that melts easily in your mouth. Also ,with the addition of traditional hong zao (red dates), their dumpling features the warmth of Hunan home cooking. Surprise your taste buds with the extreme delicacy of this hot and spicy region of South West China with their Sichuan spicy chicken dumplings. A hefty bundle of tender chicken meat is stir-fried with Sichuan's star spice, dried chilli and wrapped in a bed of steaming glutinous rice. K-pop is making its mark here with a big bang. Launch Entertainment, Lushington Entertainment and Live Nation have jointly announced that they will be bringing the highly-anticipated Big Bang "Alive" World Tour to our shores! K-pop band Big Bang, made up of G-Dragon, T.O.P, Taeyang, Daesung and Seungri, will be bringing their first world tour to the Singapore Indoor Stadium on September 28. We are stoked to be the first stop in South East Asia, with the world tour set to visit 22 cities in 14 countries. And the concert is shaping up to follow in the footsteps of Lady Gaga’s mind-blowing Monster Ball Tour, as it will be produced by none other than the VMA-winning choreographer and Emmy-nominated director Laurieann Gibson, one of the creative forces behind the Gaga show. Following their well-deserved win at the 2011 MTV Europe Music Awards for “Best Worldwide Act” , the group released their highly-acclaimed fifth mini-Album Alive, which topped Korean charts with catchy and infectious tunes like “Fantastic Baby”, “Bad Boy” and “Monster”. The music video of the lead single “Blue” also garnered 2 million viewers on YouTube within 24 hours of its launch. So whether you’re a die-hard T.O.P fan, in love with G-Dragon’s talent or can’t get enough of Taeyang’s slick dance moves (and abs), we suggest you get your OCBC Credit Card ready. With news of the Indonesian show, held on October 13, being sold out in less than 10 minutes and causing the servers to crash, VIPs here should be warned. There’s defintely no denying the unstoppable force that is Big Bang. 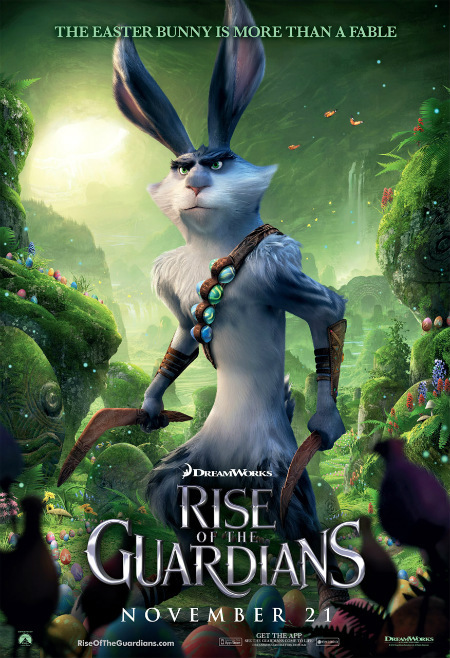 The second trailer for the animated Rise of the Guardians in 3D was released over the weekend, featuring the voices of Hugh Jackman and Alec Baldwin. Dramatic whimsical footage for this family action-adventure follows Jack Frost teaming up with mythical figures including Santa Claus, the Easter Bunny and the Tooth Fairy to fight the evil Pitch, played by Jude Law. The films also stars Chris Pine (Star Trek) as Jack Frost and Isla Fisher, who will appear in The Great Gatsby this December. Rise of the Guardians, billed as a magical story about being naughty or nice, will be released worldwide in November and December, which indicates strong expectations for a holiday hit. 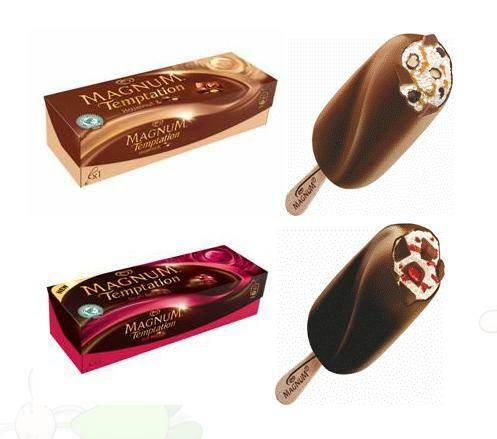 As if regular Magnum ice cream wasn’t delicious enough, Magnum now brings you its Temptation range (pictured right), or what we like to call “indulgence on a stick”. Featuring the Magnum Temptation Hazelnut – decadent vanilla ice cream and syrup-filled chocolate hazelnut bonbons encased within a rich chocolate shell – and Magnum Temptation Fruit – smooth vanilla ice cream with swirls of Fruit of the Forest sauce, enriched with juicy cranberry pieces and dark Ecuador chocolate chunks within a Magnum chocolate shell, the Temptation range will be launched at a Parisian-themed pop-up dessert bar ION Square from May 12 to 23. Visitors will have the rare opportunity to dip their choice of “naked” Magnum ice-cream into the signature Magnum chocolate specially flown in from Belgium, before personalising their dessert with an array of premium toppings ranging from pistachio nuts to crunchy honeycomb crumbs. While you’re at the Magnum Dessert Bar, don’t forget to sample some of the items from the exclusive Magnum Temptation Dessert Menu (pictured above) – a collaboration between Magnum and 2am:dessertbar’s Chef Janice Wong. You can also head down to 2am:dessertbar at Holland Village from May 25 to June 10 to satisfy your sweet tooth with the full menu. Finally, you will have the chance to win attractive prizes such as limited edition Magnum collateral, winsome treats from 2am:dessertbar, and exclusive tickets to the Audi Fashion Festival 2012, simply by taking part in Magnum Pleasure Hunt 2 – an interactive online game that will be available to the public at the Magnum Dessert Bar.